Mace in the East Village is a cocktail-centric spot that highlights spices. Drinks have names like Thai Chili, Cocao Bean and Grass, which indicate their main flavor profile. Food complements the drinks, with crab and avocado flatbread, bacon and fig jam toast, and prosciutto and melon skewers. Mace, 649 E. 9th St., New York, NY 10009, 212-673-1190. In the former space of Todd English's Olives at W New York - Union Square comes Irvington, an American restaurant with farm-to-table fare and rotisserie offerings. Chef David Nichols' menu includes lamb tartare with harissa, bucatini with chopped porchetta, and duck confit potpie. Irvington, W New York - Union Square, 201 Park Ave S., New York, NY 10003, 212-677-0425. Seamus Mullen, who runs the show at Tertulia in the West Village, has opened El Colmado Butchery in the Meatpacking District. The restaurant is an offshoot of the El Colmado in the Gotham West Market food hall and serves cheese and charcuterie plates as well as tapas dishes. El Colmado Butchery, 53 Little West 12th St., New York, NY 10014, 212-488-0000. From the people who brought you Au Za'atar in the East Village comes Souk & Sandwich, a small spot in SoHo serving up Lebanese-inspired sandwiches. Souk & Sandwich, 117 Sixth Ave., New York, NY 10013, 212-625-3982. In the space that once housed Butter comes a revamped version of Asia de Cuba. The restaurant, which existed for years in Murray Hill, offers updated takes on Asian-Latin dishes. 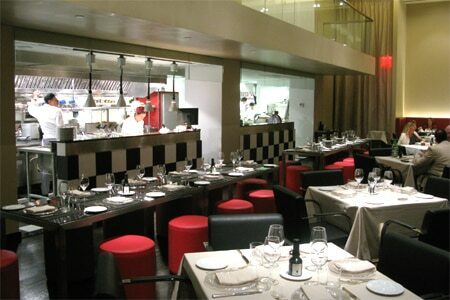 Asia de Cuba, 415 Lafayette St., New York, NY 10003, 212-726-7755. 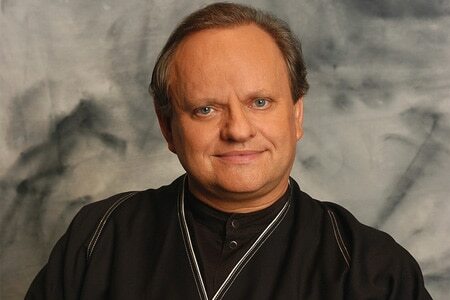 Chef Joël Robuchon is bringing his eponymous restaurant L'Atelier de Joël Robuchon back to New York City. The chef will open in Battery Park City, where many quality restaurants have been popping up lately. Look for a Fall 2016 opening. L'Atelier de Joël Robuchon, 250 Vesey St., New York, NY 10080, no phone. City Kitchen is the latest food hall to open in New York. The 4,000-square-foot space, a stone's throw from Times Square, is filled with diverse food options, including Dough, Luke's Lobster, Gabriela's Taqueria and Whitman's. City Kitchen, 700 Eighth Ave., New York, NY 10036, no phone. Amused, a new restaurant on the Upper West Side, serves whimsical dishes like “Pig in a Pretzel,” General Zoe's cauliflower, and carbonara ramen. Amused, 142 W. 83rd St., New York, NY 10024, 212-799-0080. Located in Gramercy Park, newcomer Javelina focuses on Tex-Mex cuisine. Chef Richard Caruso, formerly of Rosa Mexicano and Hill Country, is in the kitchen serving up brisket tacos and barbacoa enchiladas. Javelina, 119 E. 18th St., New York, NY 10003, 212-539-0202. From the owners of the East Village Thai restaurant Somtum Der comes Kiin Thai Eatery. The new restaurant eschews the regionalism of Somtum Der and offers Thai fare from around the country, with an emphasis on home-style dishes. Kiin Thai Eatery, 36 E. 8th St., New York, NY 10003, 212-529-2363. The James Beard Foundation has announced the nominees for the 2015 awards ceremony, taking place in Chicago on May 4. New York restaurants figured prominently. Some of the nominees include: Cosme and Batard for Best New Restaurant; Maison Premiere for Outstanding Bar Program; Michael Anthony of Gramercy Tavern for Outstanding Chef; Momofuku Noodle Bar, The Spotted Pig, Per Se and Blue Hill at Stone Barns for Outstanding Restaurant. Good luck, New Yorkers. Longtime restaurateur and owner of SD26, Tony May moves on. He has sold SD26 to restaurant chef and consultant John Doherty, who plans to keep it open until at least August and then shut it down and change the concept to a more American cuisine-focused spot. Before opening San Domenico on Central Park South in 1988, Tony May ran the Rainbow Room for 22 years. SD26 was a collaboration of father Tony and daughter Marisa. SD26, 19 E. 26th St., New York, NY 10010, 212-265-5959. BLT Steak (106 E. 57th St., 212-752-7470) and BLT Prime (111 E. 22nd St., 212-995-8500) have acquired some very hard-to-find beef. The A5 BMS 11 Kagoshima, also known as Wagyu, twin beef ribs were sourced from Japan and are now available at both restaurants for a limited time. But it's not inexpensive --- prices start at $38 an ounce. Gotham Bar & Grill Gets "Mad"
Gotham Bar & Grill chef Alfred Portale is offering a new, optional prix-fixe lunch menu in honor of "Mad Men" throughout April. The three-course (plus two martini) meal for $45 includes such selections as the Gotham Caesar, steak Diane and poached salmon. Gotham Bar & Grill, 12 E. 12th St., New York, NY 10003, 212-620-4020. J.G. Melon, the legendary burger spot on the Upper East Side, has announced it's opening a Greenwich Village outpost. The newcomer should be open sometime in April. J.G. Melon, 89 MacDougal St., New York, NY 10012, no phone. David Chang announced at SXSW that he is turning the old Momofuku Ko space in New York into a restaurant that serves fried chicken and fried chicken sandwiches. As of now, there is scant information about the concept, except that it will be called Fuku. Fuku, 163 First Ave., New York, NY 10003, No phone. Sushi Zen, the underrated sushi spot in Midtown, will move three blocks north and triple in size by the end of 2015. Sushi Zen, 108 W. 44th St., New York, NY 10036, 212-302-0707. Mitali East, an Indian restaurant on the East Village block that was once lined with subcontinental eateries, has shut down after more than 40 years in business. Mitali East, 334 E. 6th St., New York, NY 10003, no phone. Puebla, a 25-year-old taqueria in the East Village, shut down permanently after service on March 23, 2015. Puebla, 47 First Ave., New York, NY 10003, no phone. Terroir Murray Hill shut down after March 14, 2015 service, leaving the once-expanding Terroir empire with just one spot: Terroir Tribeca. Terroir Murray Hill, 439 Third Ave., New York, NY 10016, 212-481-1920. Benny's Burritos, the 27-year-old restaurant in the East Village, has shut down. Benny's Burritos, 93 Ave. A, New York, NY 10009, no phone.